A few years ago, I gave away my faux fur-trimmed parka to my sister. She had been fawning over it, and though I liked it myself, she loved it, and thus clothes-karma seemed to obligate my break-up with said parka. Over time though, I began to feel that the break-up might have left a bit of a hole, if not actually in my heart, most definitely in my wardrobe. You just can't deny the goodness (i.e. practicality, warmth, chicness, foreverness) of one of these furry coat-friends. So recently, I've begun the search for a replacement. I'm looking at these ones from Topshop (on sale! ), Asos, and Three Floor (my fave). oh wow, gorgeous. Steven Alan has a great one too! I love the 3 floor coat! (Maybe because I own it :)). Great pics as usual! where is the first pic from? 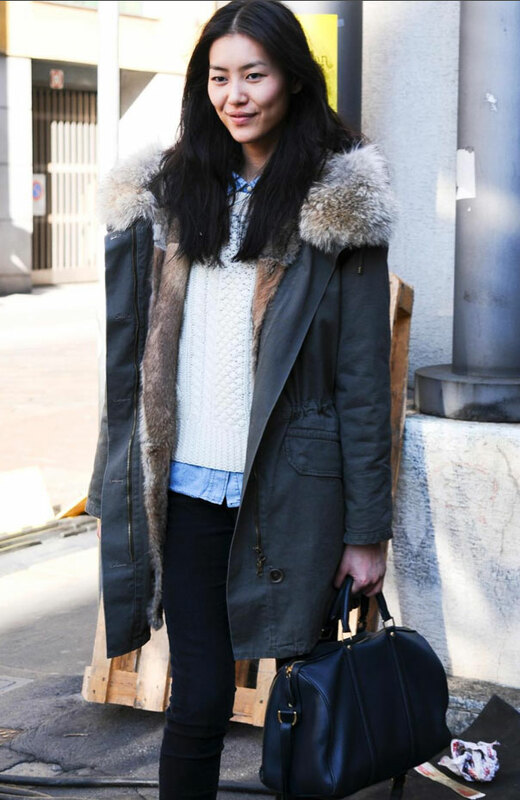 Would like to find out the brand for that parka. I wish I knew the parka brand, too! It's a good one!